120 to 140 million knowledge-based jobs will be automated by 2025. 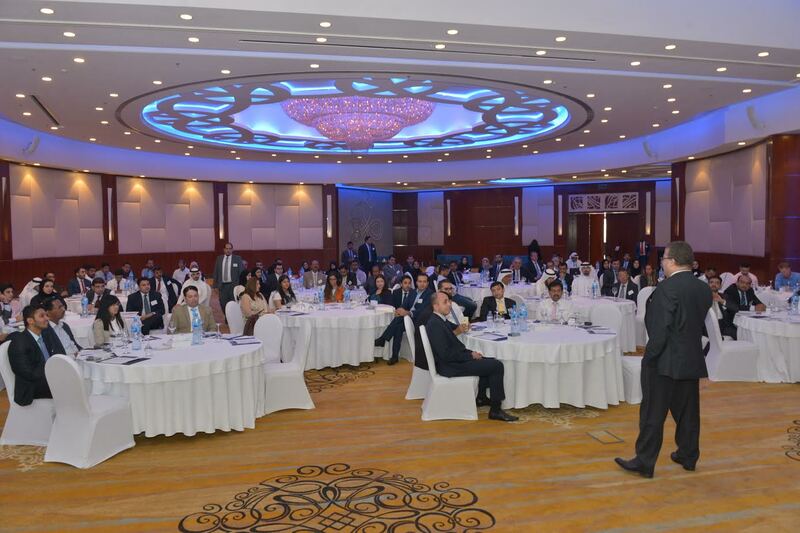 KPMG’s recent event on ‘emerging trends in internal audit’ brought together a significant network of over 85 internal audit leaders within the business community in Bahrain. The event held at the Radisson Blu hotel, provided practitioners and leaders an opportunity to hear about recent developments in the industry and best practices around key issues. The expert panel also shared critical information on how internal audit can turn insights, challenges and opportunities into value-added advantages in the current economic landscape. Guest speaker Khalifa Al Jowder, Director of Accounts at the Central Bank of Bahrain and President of Institute of Internal Auditors (IIA) Bahrain Chapter, praised KPMG Fakhro for organizing the event in his opening remarks, stressing how important it is to raise awareness of the value of internal audit in managing risks, while enabling business growth. “The link between reliable financial information and sound decision-making has been evident throughout my career. Therefore, I believe it is important to be updated with the recent developments in internal audit which this event will help you to do” Al Jowder added. The half-day event included informative sessions by Granville Smith, Managing Partner for KPMG’s Internal Audit practice in South Africa and Thomas Gouws, Partner for Data & Analytics-enabled Internal Audit for KPMG in South Africa. The sessions aimed to help the attendees evaluate their organizations’ risk-taking propensity and the utilization of technology in internal audit functions. During his presentation, Granville Smith explained that technology advancement is changing the business environment, particularly when it comes to identifying, assessing and preparing for risks. “Risk is inevitable; it is part of our everyday life. Being well prepared with the right knowledge and capabilities are key in mitigating risks. As the world is changing, it is important to be on top of the market trends to minimize the impact of risks and turn them to profitable advantages. To ensure organizations are moving on the right track and stay competitive, auditors need to adjust their thinking from the disruptive approach to risk management, towards innovative solutions” Smith commented. Thomas Gouws also emphasized the importance of internal audit efficiency and speed to keep up with fast-paced technology innovation. “There is an increasing shift towards technology driven solutions in internal audit which we expect to be both disruptive to the profession whilst offering opportunities to provide enhanced insights and realize efficiencies. This is why KPMG has been investing in data and analytics globally and why we collaborate with technology providers to develop a living, global, digital platform for the future.” Gouws added. The event also featured an interactive session to discuss the results of a survey conducted by KPMG – a study on how data and analytics can enhance the internal audit value proposition to allow Bahrain-based internal auditors to evaluate and focus their functions towards repeatable and sustainable use of data and analytics. KPMG is a global network of professional firms providing Audit, Tax and Advisory services. We operate in 155 countries and have more than 174,000 people working in member firms around the world. The independent member firms of the KPMG network are affiliated with KPMG International Cooperative (“KPMG International”), a Swiss entity. Each KPMG firm is a legally distinct and separate entity and describes itself as such.